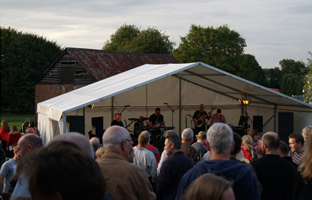 Tickets will be available later in the year from outlets in Sherfield on Loddon village. Free entrance to Under 18's if accompanied by an adult. *Persons under 18 must be accompanied by an adult ticket-holder at all times whilst at the event. *Persons under the age of 18 are not permitted to purchase or consume alcohol at the event. *Regrettably, dogs are not allowed in the hall or the hall garden. 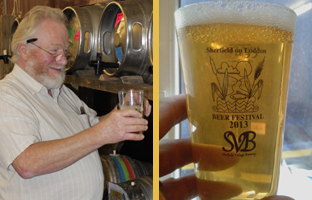 Sherfield on Loddon Beer Festival (previously Feast of Ale Festival) featuring beers and ciders from local breweries. Village logo reproduced by kind permission of Sherfield Parish Council. Website sponsored by Sherfield Consulting.